MUMBAI – MAHARASHTRA – INDIA DECEMBER 13, 2015 10.10 P.M. In the world of obfuscation of national frontiers, in the age of internet and social media reach, no country can remain isolated. It shouldn’t either. Foreign Policy is, thus the most important aspect of modern governance. When Prime Minister Narendra Modi took oath of office, it was widely assumed and believed that due to lack of international exposure, he would rather falter if not fail in Foreign Policy. But Prime Minister Narendra Modi surprised his friends, critics and enemies alike. Today after almost 18 months, foreign policy initiatives have become his strongest achievement and accomplishment. Thus the above mentioned 4 new forums bearing Prime Minister Narendra Modi’s signature are there in the foreign policy domain and they will remain the biggest hallmark of India in the coming days. India’s 1st big initiative, Non-Aligned Movement [ N.A.M. ] 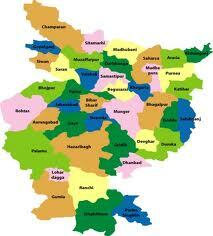 , started by 1st Prime Minister Jawahar Lal Nehru is, for all practical purposes, now dead. No other Prime Minister after that could usher anything worthwhile. So it is right to say that in the realm of Foreign Policy Narendra Modi is the 2nd most successful Prime Minister of India. He is 2nd to Jawahar Lal Nehru only technically. In fact he is 2nd to none. Foreign Policy successes, apart from multilateral forums, is also measured in bilateral terms. Prime Minister Narendra Modi scores in this arena also. Till date Prime Minister Narendra Modi had made 30 foreign trips. He has made 1 visit each to 26 countries. They are : Australia, Bangladesh, Bhutan, Brazil, Canada, China, Fiji, Germany, Ireland, Japan, Kazakhstan, Kyrgyzstan, Malaysia, Mauritius, Mongolia, Myanmar, Russia, Seychelles, Sri Lanka, South Korea, Tajikistan, Turkey, Turkmenistan, UAE, UK & Uzbekistan. Prime Minister Narendra Modi made 2 visits each to : France, Nepal, Singapore & USA. Prime Minister Narendra Modi participated in following multilateral meetings also. They are : BRICS [ Fortaleza & Ufa ] / G-20 [ Brisbane & Antalya ] / ASEAN [ Naypyidaw & Kuala Lumpur ] / SCO [ Dushambe & Ufa ] / IBSA [ New Delhi ] / INDIA-AFRICA FORUM [ New Delhi ] / SAARC [ Kathmandu ] . He has developed unique and intimate relationships with almost all the world leaders. Prime Minister of Japan Shinzo Abe is one of them. Shinzo Abe came to India on a 3 day official visit on December 11, 2015. This visit, apart from clinching of several deals and contracts, will always be remembered for GANGA AARTI in Varanasi. But first let us first look at the other major economic and social accomplishments. Following is the 16 major agreements, known as Power of 16. Nuclear Energy, Bullet Train, Make In India in Defence, Double Taxation Avoidance are some of the major agreements, which were signed. But this visit of Japanese Premier will always be remembered for GANGA AARTI on the banks of eternal GANGA in Varanasi. Prime Minister Narendra Modi with Prime Minister Shinzo Abe visited his Lok Sabha constituency and performed pooja and Aarti along with the guest. MUMBAI – MAHARASHTRA – INDIA OCTOBER 31, 2015 10.30 P.M. 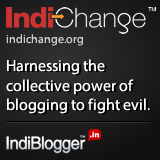 In that blog I particularly wrote about his first initiative; FIPIC. But briefly, I also wrote about India Africa Forum Summit, IAFS . I wrote that technically, though India Africa Forum Summit, IAFS was started in 2008 by previous UPA government but in all probability, I consider it to be Prime Minister Narendra Modi’s initiative. Here are the reasons for my thinking. First IAFS was held in 2008 from April 4 – 8 in New Delhi. It was attended by only 14 Heads of State / Government. Second IAFS was attended by 15 Heads of State / Government. One more than the previous one. It was held in Adis Ababa, Ethiopia from 21 – 25 May, 2011. Third IAFS was held in New Delhi from 26 – 29 October, 2015. It was attended by 51 of the 54 countries. 41 Heads of State / Government participated and 10 remaining countries were represented by high power delegations. Thus the total number of countries attending 3rd India-Africa Forum Summit 2015 comes to 51. Only 3 countries could not attend. Singapore and UAE attended the summit as observers. Thus the total number of countries attending the summit comes to 53. It is historic. It is momentous and unprecedented. It is epoch-making. 3rd India Africa Forum Summit 2015 is the 2nd largest congregation of Heads of State / Government ever held in India. 2 Kings , 26 Presidents , 6 Vice Presidents and 7 Prime Ministers of 41 African Countries , the President of the African Union, 10 African countries represented by high power delegations along with Singapore and UAE as observers attended this 3rd India-Africa Forum Summit. Total number comes to 53. Now few facts about the history of summits involving African nations. 1 – JAPAN : Japan was the 1st country to hold regular summits with African nations since 1993. It is once-every-five-years summit and is always held in Japan. It will now be once-every-three-years summit. 2 – CHINA : China was the second nation to hold summit with African nations since 2000. Like Japan, it is also once-every-three-years summit. 3 – THE EUROPEAN UNION : The European Union started holding summit with African nations since 2004. It is also once-every-three-years summit. 4 – INDIA : We are the 4th country and started our summit in 2008. The India-Africa Forum Summit will be once-in-a-five-years summit as proposed by Prime Minister Narendra Modi. 5 – UNITED STATES OF AMERICA : The US is the 5th and last country to hold such summit. She started holding the summit since 2014. It was the biggest till date as leaders of 35 African countries attended the summit. Prime Minister Narendra Modi hosted dinner in honour of visiting dignitaries. It was held at Pragati Maidan. All the leaders and first ladies were in attendance in ethnic wear gifted by Prime Minister Narendra Modi. Plenary Session of the summit was inaugurated next day after the dinner, i.e. on October 29, 2015. Before the plenary session all the visiting dignitaries were ceremonially welcomed at the venue, Indira Gandhi Sports Complex. Before and after the Summit, Prime Minister Narendra Modi had one-on-one bilateral meetings with all the 41 visiting Heads of State / Government. Apart from above mentioned African leaders, Prime Minister Narendra Modi also met NKOOAZANA DLAMINI ZUMA, Chairperson African Union. On 29th, after the plenary session, the President of India invited all the visiting dignitaries for dinner party at Rashtrapati Bhawan. Rashtrapati Bhawan was decorated and illuminated for the grand memorable occasion. It is sad and deplorable that a foreign policy initiative of such magnitude and gigantic proportions was largely neglected by national media, print and electronic both. [ Hindustan Times is perhaps the only exception. ] It is the 2nd biggest and largest diplomatic event ever hosted by India. Let me tell about 2 other such big events held during Indira Gandhi’s regime. The 7th NAM Summit was held from 7 – 12 March, 1983 in New Delhi. Participating countries 140. The 7th CHOGM Summit was held from 23 – 29 November, 1983 in New Delhi. Participating countries 42. Thus 32 years after hugely successful 7th NAM Summit 1983 , the 3rd India Africa Forum Summit 2015 is the 2nd largest congregation of Heads of State / Government ever held in India. I repeat : 2 Kings , 26 Presidents , 6 Vice Presidents and 7 Prime Ministers of 41 African Countries , the President of the African Union, 10 African countries represented by high power delegations along with Singapore and UAE as observers attended this 3rd India-Africa Forum Summit. Total number comes to 53. But it was ignored by the media and the cause is animosity towards Prime Minister Narendra Modi. It is a sad state of affair in our country. When it comes to Modi, even the pretension of balance is dropped and discarded. The bias is obvious and open, the daggers are drawn and the bellicose media is waiting for the kill. Alas!! But history will not be cruel. It will be kind and judge this event in a proper light and will apply unbiased yardsticks. Years after 2015, when Narendra Modi will not be around, when the dust will settle down and the bias will evaporate and the historian will sit down to chronicle the Narendra Modi era of India, the 3rd India Africa Forum Summit 2015 will be seen and will be mentioned in a different way. So over to the future with no regrets. MUMBAI – MAHARASHTRA – INDIA OCTOBER 18, 2015 07.40 P.M. When history is being created, it is very difficult to guess its importance, analyse its impact and appreciate its value. It is much easier to appreciate the importance, impact and value of the events when history is finally made and the leader is gone. Appreciation becomes more difficult in India when the achiever is Narendra Modi, who is adored by millions but deplored by few for reasons best known to them only. So many epoch-making decisions of Prime Minister Narendra Modi in the realm of Foreign Affairs seem to be inconsequential to these haters and because of the cacophony created by them along with media, are beyond the comprehension of even the students of current affair and contemporary history. Even scholars of foreign affairs are not very much appreciative of the endeavours of Prime Minister Modi for some of his epoch-making initiatives. 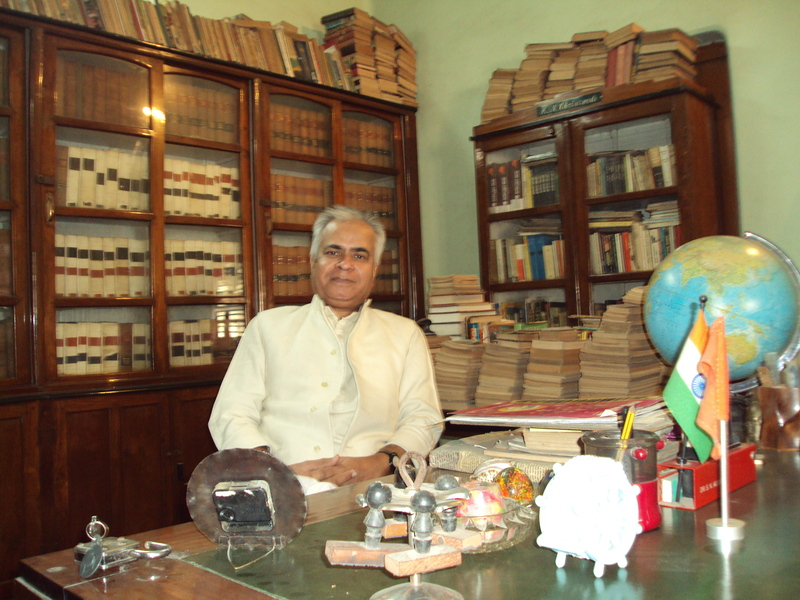 If Congress and Left-Liberal Intellectuals along with paid Media can’t fathom and accept the gigantic victorious juggernaut of Narendra Modi in India, [ May 2014 – October 2015 ] then I can understand their denial mode regarding the achievements of foreign policy because generally they are not visible on terra firma so soon. The third initiative India-Africa Forum Summit [ IAFS ] is not Prime Minister Modi’s creation. But under him is has become gigantic. If something grows to 54 from 14/15, it deserves appreciation. So I consider it to be his initiative. The 3rd India Africa Forum Summit 2015 is going to be held in New Delhi from 26-30 October. Mandarins of the Ministry of External Affairs are spending sleepless nights to achieve the lofty goals set by Prime Minister Modi. Leaders of all the 54 countries have been personally invited and are expected to take part in the summit. Only 14 African countries participated in the 1st India-Africa Forum Summit, which was held from April 4 to April 8, 2008 in New Delhi. The 2nd India-Africa Forum Summit was held in Addis Ababa, Ethiopia from May 24 to May 25, 2011. 15 countries participated in the summit. So the 3rd edition of the India-Africa Forum Summit is the biggest ever congregation of the African Heads of State. It stands in direct contrast to the much-lauded Forum on China-Africa Cooperation & United States-Africa Leaders Summit. This summit is only a week away, so I will write about it next week. Before this, Narendra Modi went on the tour of India Ocean Island Nations. He toured Sri Lanka, Mauritius and Seychelles. It is known as INDIAN OCEAN OUTREACH PROGRAMME. This historic tour and foreign affair initiative was largely ignored by myopic India media and Prime Minister Modi’s haters. I will talk about this some other time. Prime Minister Narendra Modi’s 1st initiative in foreign affairs is known as Forum for India-Pacific Islands cooperation [FIPIC]. FIPIC is also ignored by the students and scholars of foreign affairs alike. They think that it is useless exercise of Prime Minister Modi in self-promotion. FIPIC is a multinational grouping developed in 2014 by Prime Minister Modi for cooperation between India and 14 Pacific Islands nations which include Cook Islands, Fiji, Kiribati, Marshall Islands, Micronesia, Nauru, Niue, Samoa, Solomon Islands, Palau, Papua New Guinea, Tonga, Tuvalu and Vanuatu. All Head of state/head of government of the above countries met in Suva, Fiji in November 2014 for the first time where the annual summit was conceptualised by Prime Minister Modi. 6- ‘Training to diplomats’ from Pacific Island countries to increase mutual understanding. One of the key outcome of the first summit in Suva, Fiji was that top leadership of both India and Pacific Islands should meet at a regular interval and an annual summit should be instituted in this regard. Prime Minister Modi invited all the 14 Pacific Islands nations head of states/head of government to India for the next rounds of talks in 2015. Jaipur, known as Pink city, was selected to host the main summit on 21 August 2015. As per of India’s extended Act East policy, the South Asian country is actively promoting good relations with smaller islands nations of the South Pacific, along with heavyweights in the region, and cooperating on multiple issues which include blue economy (ocean based economy), oil and natural gas, mining, IT, health care, fishing and marine research. Space collaboration with Pacific countries are of vital for India as they provide ISRO, India’s space administration, an eye to monitor launch of their rockets. Indian President Pranab Mukherjee welcomed all the visiting dignitaries at Rastrapati Bhavan on 20 August 2015 following which leaders went to Agra, on their way to Jaipur the summit venue, for a tour of Taj Mahal. Indian media and Prime Minister Modi haters ignored Forum for India-Pacific Islands cooperation [ FIPIC ]. But not our arch-rival China. It was quite significant to see Chinese President Xi Jinping following Modi’s trail visited Fiji on 21 November (just 2 days after Prime Minister Modi’s trip) to meet a similar gathering of leaders indicating a struggle for influence between the two Asian giants in the island countries of south pacific. If you look at the location of FIPIC countries, and if you not blind by Narendra Modi hate, you can gauge its importance. All the FIPIC countries are located at the triangle of Asia, Australia and America continents. They are close to the west coast of USA, almost adjacent to Australia and New Zealand. They are south of China and Japan and East of Vietnam. Modi haters should know that this region is called by China as SOUTH CHINA SEA, the current flash point of China’s sea hegemony. With its presence there, India can monitor China and can be of some help to friendly countries like Japan and Vietnam. By being there, India can also take care of its strategic economic interests in the PACIFIC SEA REGION. Indian National Congress has developed unfathomable allergy to Prime Minister Narendra Modi. I challenge them to cite initiatives taken by them in the arena of foreign affairs. Barring now moribund NON-ALIGNED MOVEMENT [ started by the 1st Prime Minister of India Late Jawaharlal Nehru ] , there is no such initiative in sight. On behalf of all the students & staff of VIDUR Acting Institute , VIDUR Editing Studio , VIDUR Club and VIDUR Merchandise, I congratulate my Prime Minister Narendra Modi for such epoch-making but unsung initiative in the field of foreign policy. I hate the word Current Affaires. What is happening in this world is not just current affaires. It is definitely something very serious. Whatever has happened is history . So whatever is happening today, is history-in-the-making. That is the reason, I have named this category : History-In-Making and not current affairs. I was curiously and very anxiously following the happenings in Egypt. I am a student of history and thus was familiar with the ancient history of Egypt. I was always fascinated by the Pyramids, the Sphinx. I have read about the pre-historic Egypt. I know about the Roman Egypt and the Ottoman Egypt. 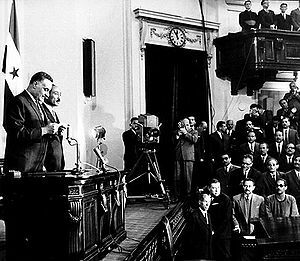 I had childhood memories of Egypt’s ruler Gamal Abdel Nasser, who overthrew the monarchy and stablished democracy. King Farouk was overthrown in a bloodless coup and Mohammad Naguib took as the first Prime Minister of Egypt. Nasser was the real architect of this change. Later on he deposed Mohammad Naguib and took as the second Prime Minister of the ancient nation. Along with Jawahar Lal Nehru and Yugoslavia’s Josip Broz Tito , he was instrumental in forming the Non-Alignment Movement. When he died in 1970, his funeral was attended by 5 million people. Such was his popularity and such was his stature and standing in the world arena. 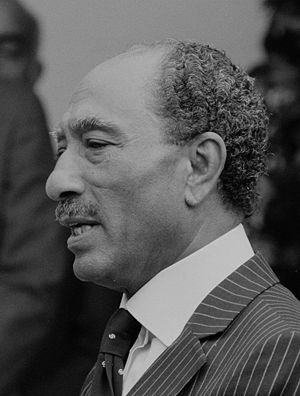 After Nasser , Anwar El Sadat became the ruler of Egypt. His tenure was marked for his historic visit to Israel and eventually Egypt’s recognition of the Jewish state. By a gentle stoke of his pen, he ended centuries old hostility and animosity. No student of world history will ever forget those momentous days of the President of Egypt’s state visit to Israel and the eventual recognition of the Jewish state by an Arab nation. Anwar El Sadat was disliked by Muslim Brotherhood people for this and he was fiercely opposed by the orthodox muslims. Sadat was ultimately gunned down by an orthodox muslim group, while inspecting a military parade. Hosni Mubarak succeeded him and ruled for a close 30 years. I have no memory of pre-Nasser period but from the rule of Nasser to Sadat to Hosni Mubarak, I was a close follower. Suddenly one day there was an innocuous news about Tunisia , a tiny state in Africa continent. 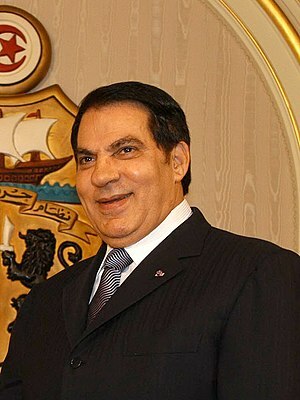 Zine al-Abidine Ben Ali , the despotic ruler of Tunisia, was forced to leave the country by unarmed protesting mobs. This incident triggered protests in Egypt on January 25, 2011 and suddenly my twitter timeline was flooded with the news of Egypt and her unarmed protesting masses at Tahrir Square. Despite best efforts of Mubarak government , protests refused to be petered out and finally after almost a fortnight and after several procrastinations , Hosni Mubarak resigned and a military council took over. 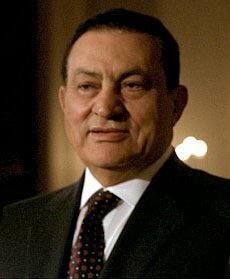 Mubarak is set to be in coma and his whereabouts are not known. It will always be remembered as a watershed movement. Trigger point of this massive campaign was initiated by Wael Ghonim, a google executive , whose anti-terror Facebook page helped spark the movement. Hosni Mubarak’s departure is creating ripples in the entire Arab world and protests are erupting in Iran, Yemen, Bahrain, Libya, Jordan and Saudi Arabia. Rulers are announcing sops and reforms suo-moto. Word’s first Facebook and Twitter revolution is about to create a far-reaching impact in the entire Middle East. I wish and pray that Egypt should remain secular and democratic and should not fall in the hands of Muslim Brotherhood. She should not be allowed to become another Afghanistan and Talibanization of Egypt is not desired and it will not be good for the larger muslim interests.